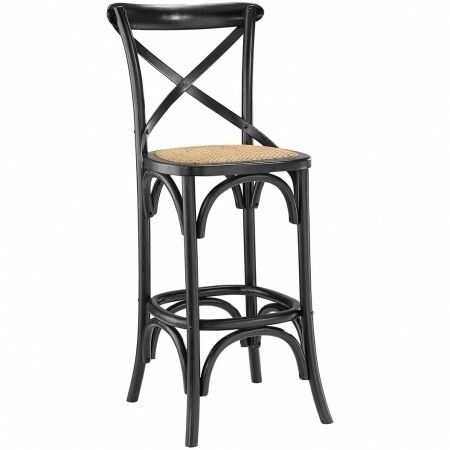 Gear black finish bar stools are made of wood and will serve for years in your home. Country classic style brings a warm touch with a high back and brown matching seat. Padded legs to protect your floors are reinforced with footrest. These bar stools are fully assembled and available in five colors.